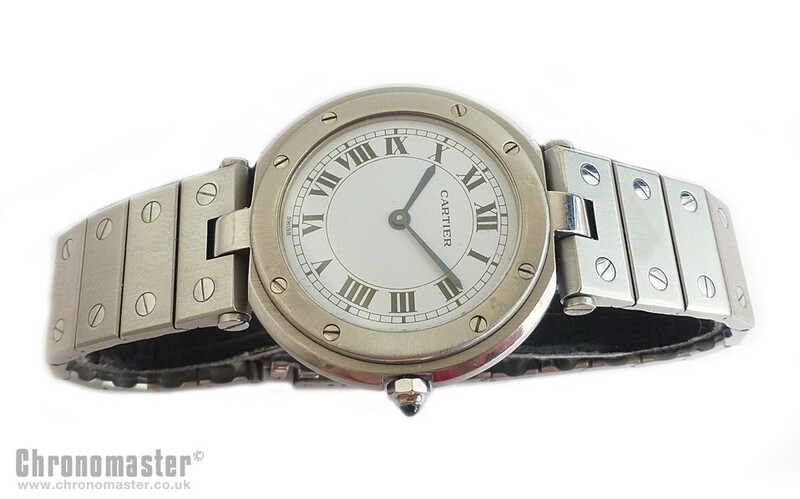 Mint Condition Cartier Santos Vendome steel with quartz movement. 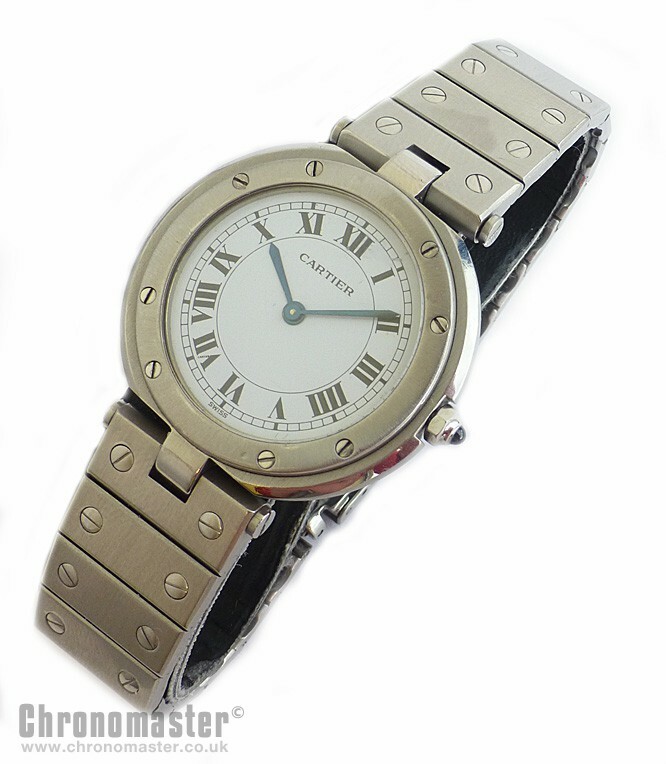 Cartier were founded in Paris over 150 years ago. Cartier are steeped in history, with founder Louis Cartier making their first water resistant watch for the Sultan of Marrakech. They also made the tank watch – inspired by the WW 1 American heavy armoured tanks. The now named Santos watch was worn by pioneering aviator Alberto Santos-Dumont over ninety years ago. The style of the watch remains pretty much unchanged since then, and a modern Santos watch is almost the same as the 90 year old model – but made to modern specification, on modern machinery with modern movements. These watches have become style icons of the 20th century. 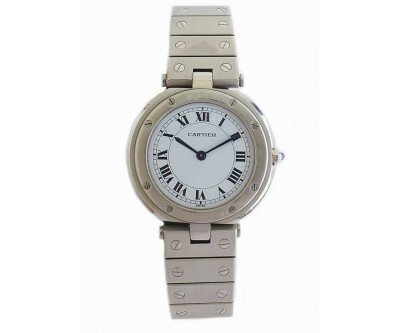 Many watches leaving Cartier’s workshops have become cult objects, no less the Santos tank watch which is an all time classic and one that will never go out of style. This one is an excellent condition. 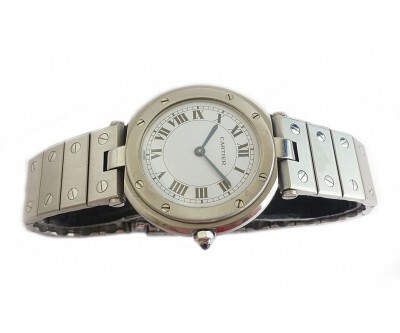 It is a steel and gold quartz gents watch. 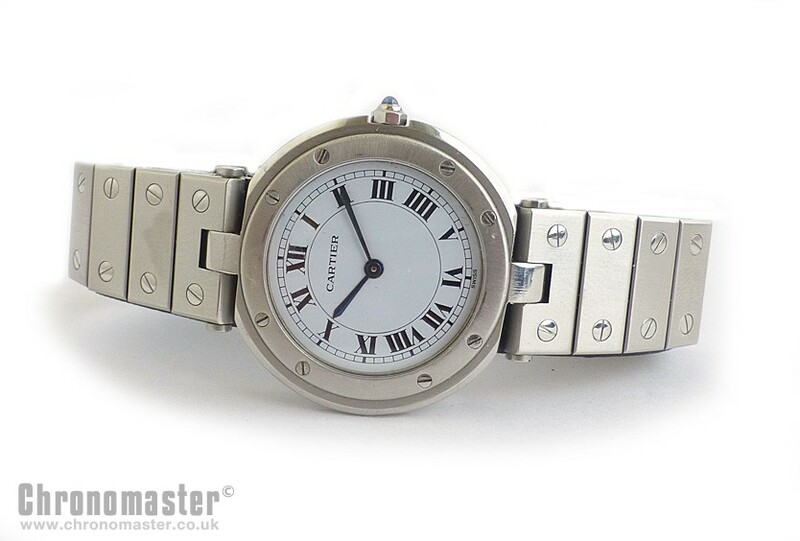 Has a square case and dial with blued hands which are a nice contrast against the white dial, full Roman numeral figures with date at the 6 position. It has a gold bezel with steel screws. 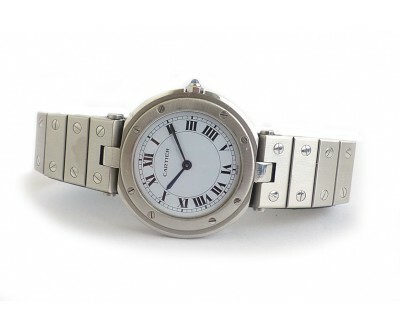 It has an automatic movement and sapphire crystal. The bracelet is full size and steel links with gold rivets and gold Cartier logo to the clasp, which is suitable for an eight inch wrist. 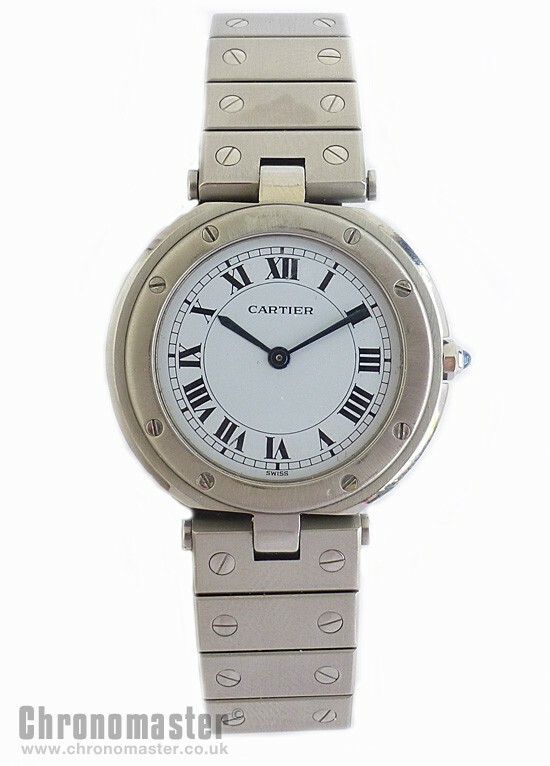 One half of the bracelet was replaced by Cartier under warranty, and whilst it is identical on the outside, on the underside, it shows a different sizing system. Has attractive angular typical “tank style” lugs with squared off crown protecting shoulders and sapphire cabochon in the crown. 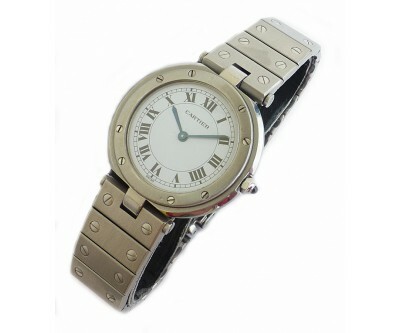 Altogether an attractive and stylish watch. Dimensions are: width including the crown is 30 mm, width excluding the crown is 32 mm, lug to lug is 41 mm and thickness is 9 mm.